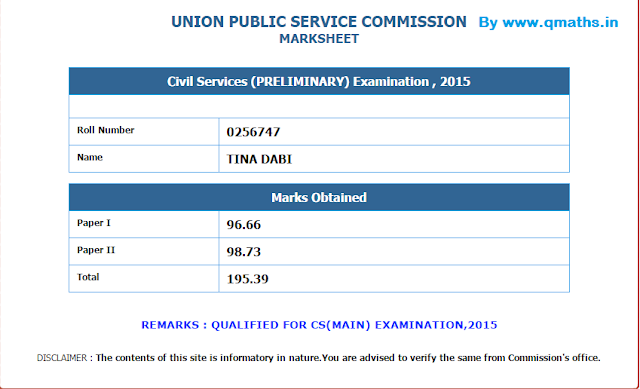 It is intersting and worth sharing to note that a girl (Tina Dabi) who didnot even qualify UPSC prelims on General category has worked so hard day and night that after mains and Interview she became the Topper of UPSC CSE 2015. 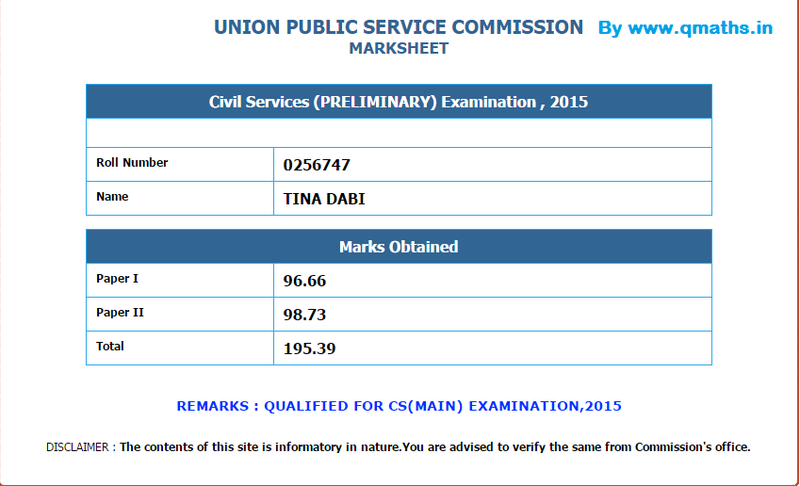 Tina dabi secured 96.66 marks in upsc prelims paper I whereas General Category cutoff was 107.34. Tina Qualified as SC Category candidate for which prelims cut-off was 94 marks. We want our readers to take inspiration by this and always remember YOU CAN DO IT, never underestimate power within you. Even you can check the genuiness of this Marks with following details. 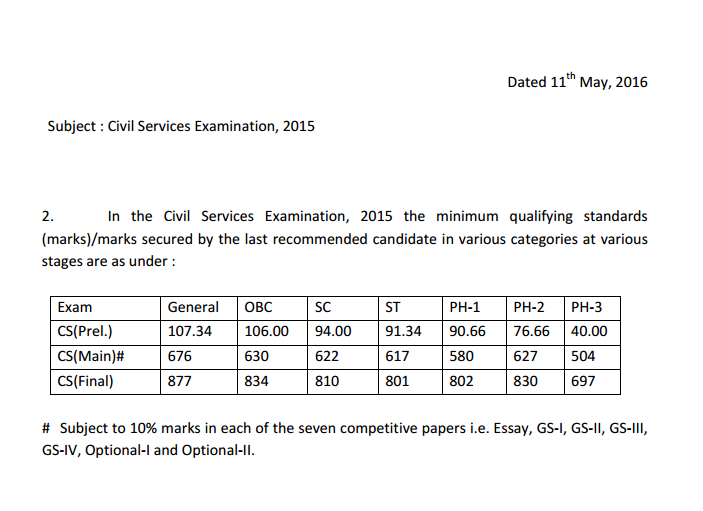 Below is the Screen Shot of UPSC Prelims and Mains Cut Off. It may be noted that Prelim Paper-II marks were not counted in Mains-Selection. Click Here to see facts behind Tina Dabi Overnight Success.